So you just wrote your first book (congratulations) or your playing with the idea of writing one. If your seriously thinking about it, I would say GO FOR IT! Everyone has a book inside them and with self publishing it’s even more easier to get a publication out there. To position yourself as an industry expert. So how is a great looking book cover going to help me become a best selling author? We the book would have to have good content that brings value to it’s readers. The thing is, people will never find out how great your book is until they open it up and have a read. Here is where a compelling and well designed cover comes in to action to engage the viewer enough to want to look inside. So here are four points to bear in mind when working with a designer on your bestselling book cover. If your book is to promote your business, it has to appeal to your customers, tell your designer your customers demographic so they can find the fonts, colours and imagery that will appeal to them. Work closely with your designer so the cover design sums up visually what your book is about. A good designer should be able to do this but don’t be afraid to guide the design process as no one knows your message better than you. Give your designer a list of other books similar to your so they can ensure yours stands out from the crowd. Cookbooks, business books, travel book etc, all have a particular look and feel. Ask your designer to keep within the look and feel of your category but strive to be original. Imagine your book on the shelf of Borders or WHSmiths. 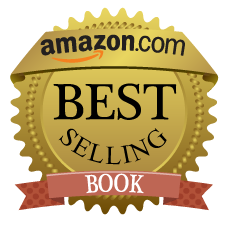 Ask your self what would make your customers want to pick up my book over the rest? What doesn’t stand out on the shelf stays on the shelf. 4) Can you read the cover text? If your designer presents you with a cover that make you say “Wow, this looks fantastic” but you can’t read what the words says, this no good to you. A good book cover strongly and clearly communicates your message, if it doesn’t it won’t fulfill it’s purpose as effectively. It can be very beneficial for business owners and entrepreneurs to become authors. A lot of effort goes in to writing a book so don’t let a poorly designed cover keep it from the bestseller list. Apart from great content a well designed cover can attract people to open the book. Find a good designer, follow the steps above and see you on the best seller list.